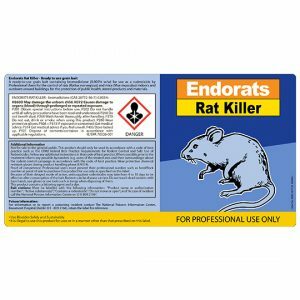 A ready-to-use grain bait containing bromadiolone (0.005% w/w) for use as a rodenticide by Professional Users for the control of rats (Rattus norvegicus) and mice (Mus musculus) indoors and outdoors around buildings, for the protection of public health, stored products and materials. Product Code: ER11 EAN: 5099621180111 Case Qty: 1 IE/BPA 70526-001 Use biocides safely. Always read the label and product information before use.